Biography: After a brilliant career in the Swedish film industry, Thomas returned to America to resume his education, only to graduate with honors from Tulane University. But soon again he succumbed to the vagabond yearnings of his regrettably insatiable wanderlust, traveling throughout the Rocky Mountains, down through Mexico and Central America, over to Africa and finally settling on a resplendently remote archipelago in the Northern Pacific Ocean, where he guides unsuspecting innocents through the sublimity of the Wailua River Valley. Home Town: Raised in Amherst, NH. High school in Hudson, NH. Hobbies: Gardening, fixing surfboard dings, hiking, surfing, fishing, ocean kayaking, & building things that come to mind. Hobbies: Relaxing, Hiking, Kayaking, Traveling, Playing music, Disc/Ball golf, any competitive/non competitive sport, Camping... Etc. I'll do anything once. Ask me about: Anything that comes to mind. I am an open book and love to listen, learn, and talk. You just might be surprised that I already know so much about where you live and what you love to do. Favorite thing about being a guide: I started guiding in 2005 on the Cashe river in southern Illinois. My passion is being outdoors everyday in any condition. Talking with people from around the world and learning about and from them. If you're lucky I might just teach you something along the way. 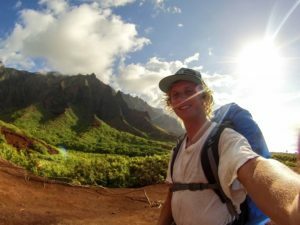 Biography: This place here known as Kauai is a very special place to me, and I love sharing it with others. 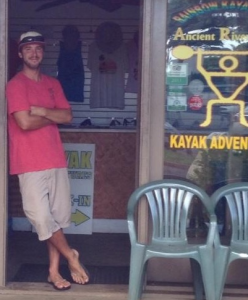 I have been a kayak, hiking, zip line, and winery/brewery guide. Played professional Disc golf in the PNW for 4 years while also setting up before and after school sports programs for YMCA's around Oregon. Have lived in Illinois, all over Oregon, Northern California, Big Island, and now Kauai. I love each of those places just as much as the next and take a little piece with me from wherever I go. 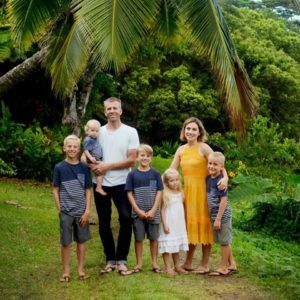 Biography: Ryan and his wife Hayley have five children and have lived in Hawaii for the past 11 years. Prior to that, Ryan has worked in pizza parlors, a landscaping company, and taught everything from kindergarten through high school. Hobbies: Surfing, paddle boarding, hiking, camping, playing music, creating music, and creating things/art. Ask me about: Kaua’i plants and fruits, Hawaiian ethno-botany, favorite beaches and places to see, ocean conditions and surfing, and how much Jesus loves us! Favorite thing about being a guide: I love being able to guide people through adventurous life experiences together. I love that I have the pleasure of being a big part of making people’s vacations memorable and enjoyable. The outdoors is my element, and I want to share it with everyone! 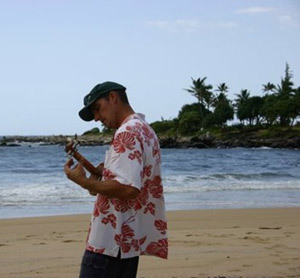 Favorite Place on Kauai: Kitchens beach for surfing and spending the day with family and friends. Koke’e or Polihale for camping. Tunnels beach for snorkeling or hammocking. 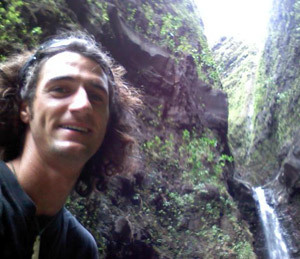 Biography: I grew up in Phoenix, and moved to Kaua’i with my brother right after I graduated High School. This life change matured me quickly and allowed me to realize my sense of adventure. I began guiding on a river, then as a zipline guide. I worked landscaping and construction for a year until I quickly realized I wanted to be around people more, so I got back into kayak guiding. I married my best friend in June of 2015, and my life has been so richly blessed. My wife and I are Christians who value the importance of others. She is a nanny and a graphic designer. I am also studying to become an Elementary School Teacher and am very excited for all that God has planned for our lives!